DC Comics’ recent decision to publish new 100-Page Giants has been a real boon. It’s a lot of comic content at an affordable price, and some of the industry’s top talent have contributed some excellent original content. Tom King and Andy Kubert, for instance, are telling a 12-part Superman story in the Superman 100-Page Giant, and the likes of Dan Jurgens, Jimmy Palmiotti, Scot Eaton, and Brian Michael Bendis have their own stories to tell as well. 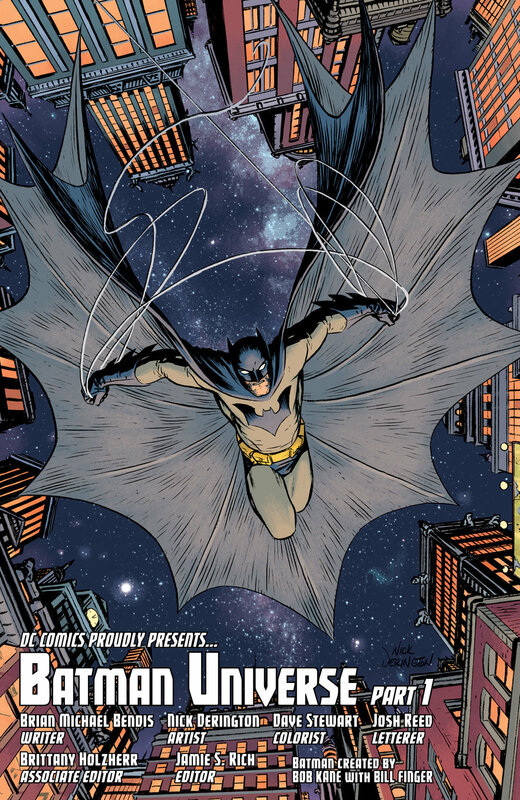 With new Batman and Teen Titans books in stores today, DC have released a sneak preview of the highly-anticipated collaboration between Bendis and Nick Derington: a brand new, 12-part Batman story. It… man, this book looks good. Check it out below. For a behind the scenes look at crafting this original Batman epic, check out an exclusive interview with Bendis and Derington at SyFy.com. Each 100-page Giant sells for $4.99 and should arrive at all participating Walmart locations throughout North America by Sunday, September 23. To find your nearest Walmart location, check out the store finder page at www.walmart.com. 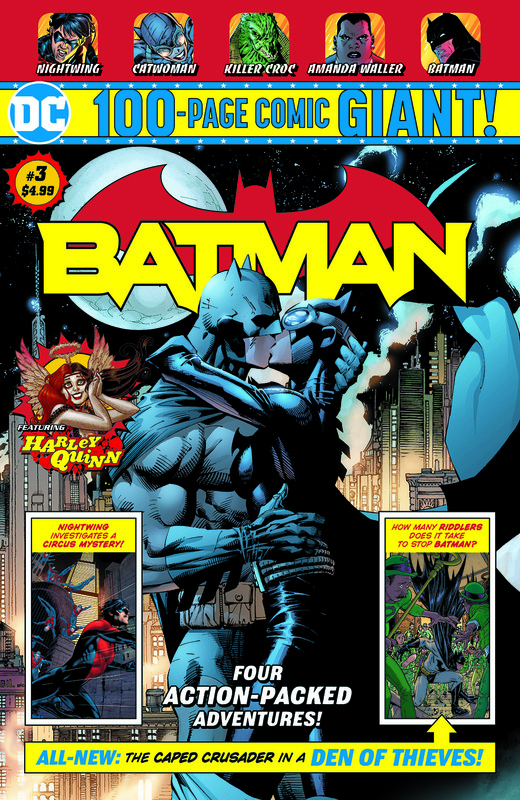 Batman 100-Page Giant #3 and Teen Titans 100-Page Giant #3 are on sale today at participating Walmart stores.